Last month, I took a day off work to go hiking. It was my birthday, and I wanted to commune with nature instead of dealing with an overflowing In Box. Anyway. On the way to Falls Creek Falls, you pass though a town called Stevenson. 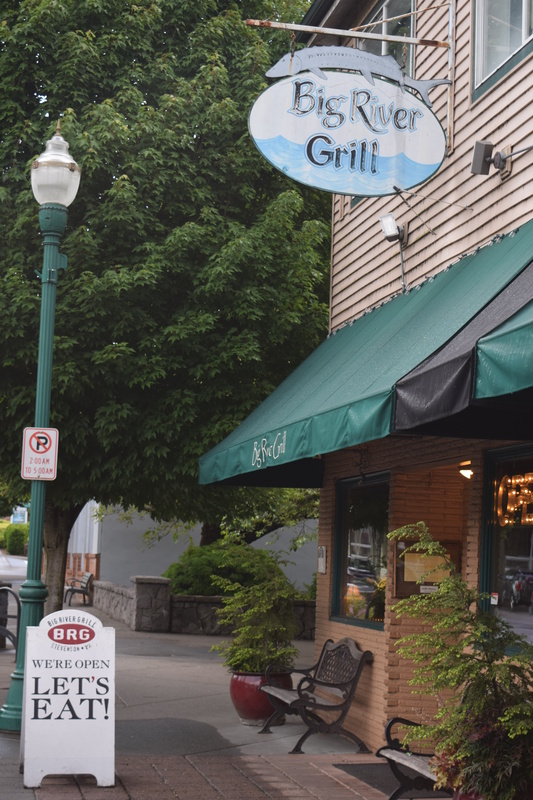 It’s a quaint little place, not much more than a wide spot in the road, with a picturesque downtown consisting of coffee shops, brew pubs, and an ice cream parlor. It takes all of ninety seconds to traverse, and that’s only because the speed limit is 25 mph. I’d never really given Stevenson a second thought before. But for some reason, that day, I did. I actually had a brilliant idea in the minute-and-a-half it took me to enter and exit the place. Why Stevenson? I think the more appropriate question is, why not Stevenson? So I was telling a bunch of coworkers my plan, and damn if they didn’t come around to my way of thinking. Within minutes two or three of them were thinking about moving out to Stevenson themselves. That’s when I realized I’d better shut my mouth and keep this idea to myself, because the last thing in the world I want is a bunch of other people discovering Stevenson and moving out there. That would drive housing prices up and put more cars on the road, adding to the commute time and pretty much defeating the whole purpose. Over the weekend, Tara and I decided to drive out there to explore the area. We’d never actually spent any time in Stevenson. That’s not completely true: we did stop for ice cream once, and grabbed a snack from a gas station (THE gas station) another time. But other than that, Stevenson was a mystery. Maybe we’d end up hating it? We did not end up hating it. Actually, we ended up loving it. We drove around looking at houses for an hour and a half, and then walked through downtown [took about three minutes] before ducking into probably the nicest restaurant/bar in town, the Big River Grill, for cocktails and dinner. Great ambience, friendly service, and the food and drinks were amazing. If you think smoky garlic shrimp served over bowtie pasta in a rich fire-roasted tomato, bacon, and feta sauce is amazing. If not, well…there’s just something wrong with you. We struck up a conversation with our server. It turns out she was born and raised in Stevenson, and loves it there. When we told her of our idea, she was full of encouragement. Not at all standoffish and protective of her small town, as you might think she’d be. So. We’ll see. A lot has to happen first. Audrey has two more years of high school, and there’s the pesky little matter of coming up with a down payment for a house. And…well, I guess that’s it. These obstacles are not insurmountable. If the perfect opportunity came along, I’m sure we could figure out how to make it work. Why not indeed. It sounds absolutely lovely. Best excuse to “go for it!” that I’ve heard yet! You’ve convinced me. I’ve moving to Stevenson. I really need to stop singing its praises! I also recommended it to a friend that day who had just been saying they’d always wanted to live in Washington. Well, they do say, “Location, location, location” so at least you’ve got the important decision made. Mark, just judging from only the picture of Stevenson, I say GO FOR IT! OMG…it’s beautiful! And what an adorable little town. As you know, I am a city boy because I love urban-life (and even a city as big and insane as NYC), however, I can also adapt to and feel very comfortable in the country, so I can definitely see your attraction to Stevenson! I have a feeling you and Tara are definitely going to move there when the time is right. And likewise, I see the appeal sometimes of living in the city. When Tara first moved out here, my dream was to find an urban spot in the heart of Portland, within walking distance of restaurants and bars. She’s convinced me to go the opposite way instead. Go figure. Well, as long as you have a guest room/mother-in-law unit! That would be a parent unit. That’s right, because Tara did apparently promise to take care of you!